January 27, 2011 - Lake Erie College announced on Wednesday that it has received a multi-million dollar gift from Lake County resident, Gretchen Reed. The gift includes the Pheasant Run Airport located in Madison, Ohio, one of the largest vintage aircraft collections in the country and a significant endowment to support the property, planes and related programs. Mrs. Reed retired in 1995 from the Riverside Local School District where she taught high school English and aviation. Her late husband, Charles F. Reed, was an Air Force veteran and led an air/sea rescue team in Alaska. He was an executive at Avery-Dennison (Fasson) in Painesville and held several patents with the company. The two private pilots amassed a collection of antique aircraft over a period of several decades; 18 are hangared at Pheasant Run Airport, and 15 are flyable. They preferred the simplicity of systems and the historical significance of older airplanes. The Reeds appeared in a one-hour documentary, ?The Restorers,? produced by Hemlock Films of Cleveland, Ohio in 2003. Pheasant Run Airport is situated on 128 acres in Leroy Township (Madison), 15 minutes east of the College?s main campus. 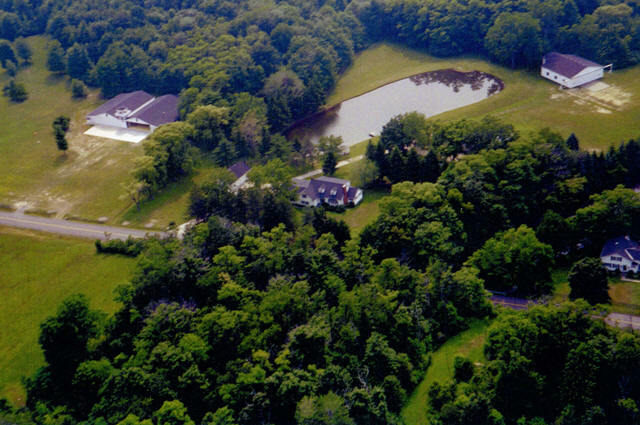 Several hangars, two grass runways, an aviation museum, pond and woodlands comprise the property. Mrs. Reed will continue to maintain the grounds and planes with the help of friends. She continues to fly her favorite airplanes, the Aeronca L-16 and an Aeronca Champ, both are single-engine, military planes built in 1945 and used for WWII observation and search and rescue. The Aeronca Model 7 Champion, more commonly known as the Champ, is a single-engine, two-seat, fixed conventional gear airplane. 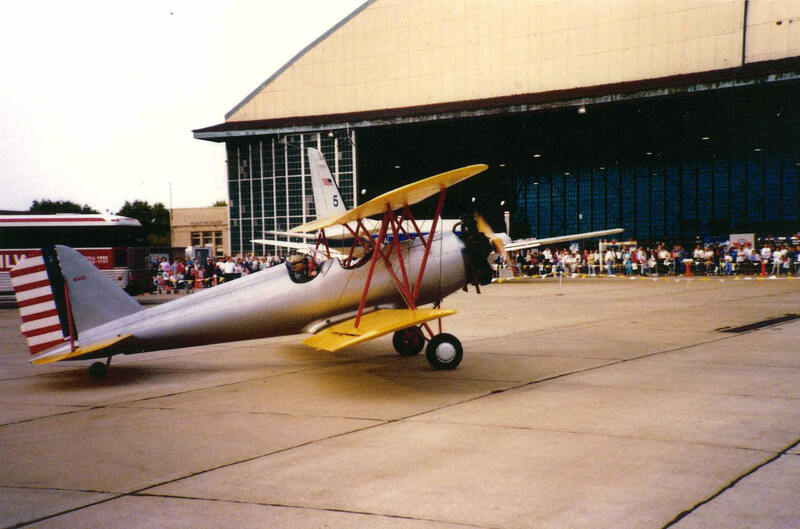 Designed for flight training and personal use, it entered production in the United States in 1945. Built by Aeronca Aircraft Corporation, the Champ first flew in 1944, having been designed in tandem with the 11AC Chief?the Champ with tandem seating and joystick controls, and the Chief with side-by-side seating and yoke controls. The intention was to simplify production and control costs by building a pair of aircraft with a significant number of parts in common; in fact, the two designs share between 70% and 80% of their parts. The tail surfaces, wings, landing gear, and firewall forward?engine, most accessories, and cowling, are common to both airplanes. Selling for $2,095, the Champ outsold the Chief by an 8 to 1 margin. Engine upgrades in 1948 and 1949 resulted in the Models 7DC and 7EC. Between 1945 and 1950, Aeronca was producing 50 light aircraft per day and by the time production ended in 1951, the company had sold more than 10,000 Champions. Aeronca ceased all production of light aircraft in 1951, and the Champ design was sold in 1954 to Champion Aircraft. The Aeronca L-16 was a United States Army liaison aircraft. It saw extensive service during the Korean War. 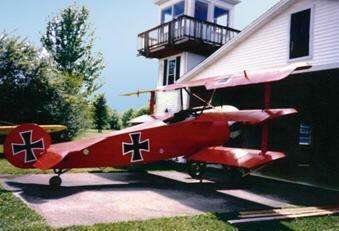 It was essentially a militarized version of the Aeronca Champion. From 1955 large numbers were transferred to the Civil Air Patrol. Variants: L-16A (7BCM Champion) 509 built, 376 of them produced for the Air National Guard, used in Korea 1950, 85 hp (63 kW) Continental O-190-1 (C-85) engine. 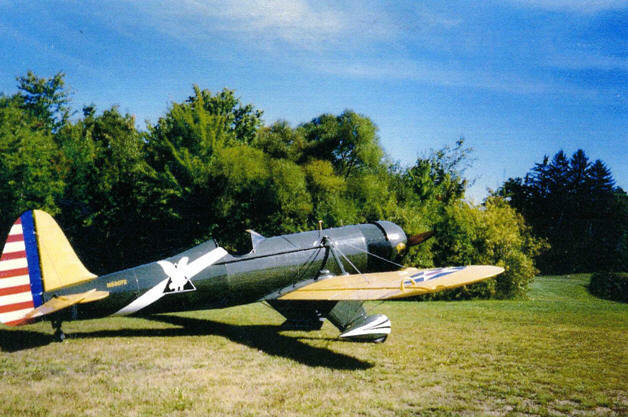 The L-16B (7CCM Champion) Military version of the Model 7AC used as training aircraft for United States Army, 90 hp (67 kW) Continental O-205-1 engine. 100 built. Lake Erie College will eventually own the airplanes. 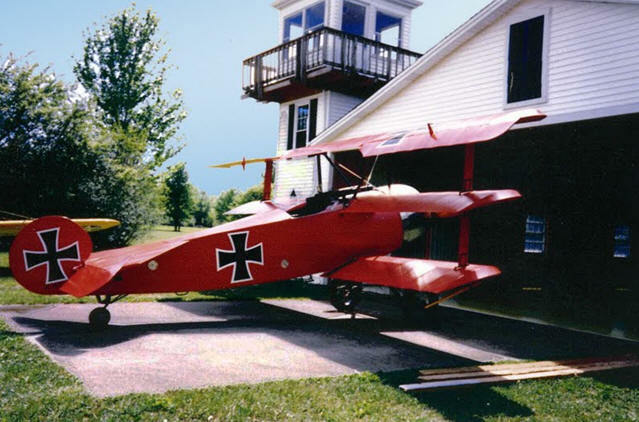 The collection includes a Fokker DR-1, a reproduction of the triplane flown by the Red Baron in World War I; a Ryan ST3-W, a fighter-trainer plane that was used in the 1942 movie ?Dive Bomber? starring Errol Flynn and Fred MacMurray; an Interstate L-6, an observation scout plane used by General George Patton during World War II; and, an OTW Army trainer plane that was used in the movie ?The Misfits? featuring Clark Gable and Marilyn Monroe. ?We are delighted to be the recipients of Gretchen Reed?s generosity and her husband?s tremendous legacy,? said Michael T. Victor, president of Lake Erie College. ?We have many opportunities to incorporate the property and collections into our academic and professional development programs. Additionally, we are excited about sharing this new learning environment with our students and alumni later this year.? ?Chuck and I did not imagine that our 68-acre purchase nearly 35 years ago would become the foundation for an aviation museum,? said Gretchen Reed. ?Pheasant Run Airport and its buildings, runways, collection of historical airplanes and memorabilia grew with the efforts of our families, friends and the local aviation community.? ?Reaching senior citizen status has its own set of inevitable decisions,? Reed added. ?Our choice was to give what we had produced back to the community that ?produced? us. Although Chuck did not live to see Lake Erie College as the entity perpetuating his dream, he would have been proud beyond words to be part of such a dynamic, respected educational institution.? ?The Reed gift is one of the largest in the College?s 155-year history and one of the most unique gifts in modern philanthropy,? said Scott Evans, vice president for institutional advancement. ?Mrs. Reed looks forward to seeing the College use the property and planes in our work ? that was her goal. She will inspire others to consider what they can do for Lake Erie College. Other vintage aircraft collectors have expressed an interest in donating planes to the College after hearing about the Reed gift,? he added. Evans said that the College has received record-level contributions of approximately $30 million since President Michael Victor began his term as president in July, 2006. Lake Erie College is an independent, liberal arts institution founded in 1856. Located in Painesville, Ohio, the College challenges its students to "get in and stand out" in academics, athletics and student activities. Lake Erie College currently serves more than 1,300 students, offers a combined 35 majors in undergraduate and graduate programs, plus the option to design an individualized major tailored to career and academic goals. The College is an NCAA Division II member of the Great Lakes Intercollegiate Athletic Conference (GLIAC) and home to 23 intercollegiate athletic teams.